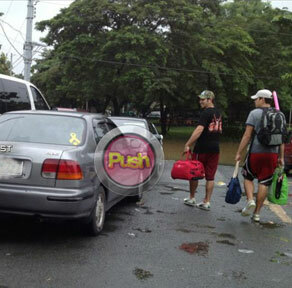 Gerald Anderson proves that he is truly a man of action as he braves flood to help victims of devastating monsoon rains. He was admired by many for his heroic deeds during the Typhoon Ondoy in 2009. 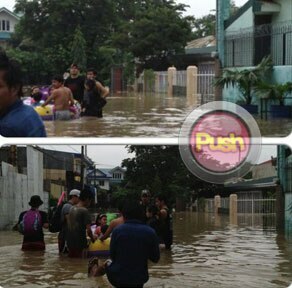 But this time, Gerald not only braved the floods to help residents in his neighborhood but he also volunteered for the relief operations of Red Cross. He even encouraged his friends from showbiz to ask for more donations for the increasing number of displaced casualties due to the catastrophic monsoon rains recently. Photos courtesy of @nhilanhils & @imthemankevin via Twitter.